We are not from Fort Knox, but we know what "safety" is. Our safety glazing always corresponds to the highest of standards. All our safety glass is extensively tested and is break resistant as well as bullet-proof. We offer the best solutions for your needs, because we do not compromise when safety is concerned. In terms of protective glazing machinery, the demands are extremely high. On one hand they must provide absolute security, on the other hand allow unhindered insight into the production process inside the respective machine. Polycarbonate is an ideal all-rounder, as it is the only material which offers optimal safety for the operator with the best optical quality. 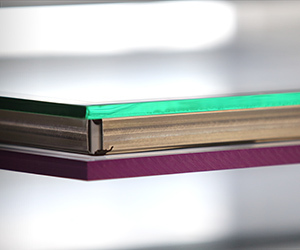 Therefore we process all of our protective glazing with 100% specified TEM Polycarbonate which is reliably protected during milling, grinding and rotation.